Four years ago, Chinese journalist Shi Tao was sentenced to 10 years in prison. His crime? Sending an e-mail. 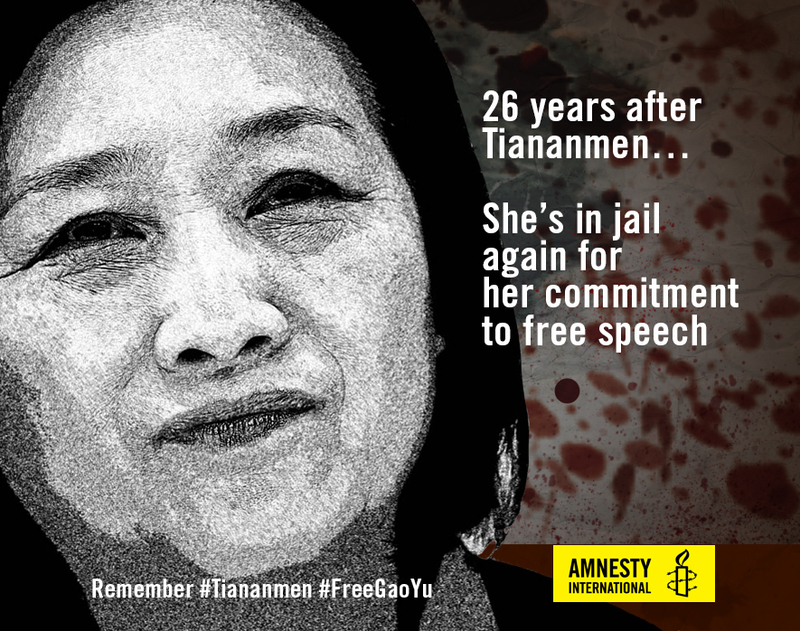 China has a history of cracking down on freedom of expression through restricting journalism. It has implemented broad censorship of the Internet. Authorities used information provided by the host of Shi Tao’s e-mail account, Yahoo!, to convict him in April 2005. Saturday marks the 41st birthday of Chinese journalist and poet Shi Tao. It will be the fifth birthday he celebrates in prison. He is serving serving a 10-year prison term for sending an e-mail summarizing a memo advising journalists on how to handle the 15th anniversary of the 1989 Tiananman Square crackdown. Chinese authorities have not lessened their restrictions on Internet freedom since Shi Tao was arrested on November 24, 2004. This was particularly apparent on the days immediately before and after June 4 of this year, the 20th anniversary of the Tiananman Square crackdown. The government blocked foreign news Web sites like CNN and the BBC and social networking sites like Twitter and Facebook in anticipation of the day. Controls over other media outlets, including newspapers and magazines, have also intensified in recent years. While prison conditions have improved slightly for Shi Tao in the past two years, freedom may still be as much as five years away. An appeal to review Shi Tao’s case was rejected last year. His mother’s request for medical parole for Shi Tao–because of a stomach condition that has worsened as a result of a poor prison diet–was also rejected. Don’t let Shi Tao spend any more birthdays in jail! This question was part of the opening remarks in a talk given several years ago by one of the attorneys representing the Uighurs at Guantanamo. We didn’t know the answer. But since then we’ve learned a lot. Now a frightful window has opened up on the Uighurs’ world in Western China. The ethnic violence that broke out this past weekend did not come out of nowhere. It came from years of brutal oppression. It erupted when Uighurs took to the streets (peacefully) to protest the stalled investigation into the deaths of two Uighur factory workers. The demonstration was violently suppressed, and the Uighurs fought back. This is a Uighur woman desperate to find out what has happened to her husband and four brothers. The Chinese came into their home while they were eating dinner and took them away. It seems Chinese authorities were busy today. While people around the world commemorated the 20th anniversary of the pro-democracy demonstrations and ensuing massacre at Beijing’s Tiananmen Square, police reportedly swarmed into the sqaure, in order to nip any potential protest in the bud. Numerous websites were blocked, including Twitter, Hotmail, and Flickr, along with many Chinese blogs and other sites. A former Tiananmen protester was sent on a government-sponsored “vacation” to keep him from carrying out a hunger strike. Although the Chinese government seems to be doing all it can to help people forget about the people who died in the massacre, that didn’t stop 150,000 people from attending a vigil in Hong Kong, and it didn’t stop supporters in Washington, DC, including House Speaker Nancy Pelosi, from speaking out about human rights in China. Regardless of what one thinks of the demands the protesters were making 20 years ago today, no one can deny that there was a massacre, and nothing can justify killing peaceful protesters. The country may have come a long way economically since 1989, but China’s human rights record still leaves a lot to be desired. As I’m sure many of you know, June 3-4, 2009 marks the 20th anniversary of the 1989 military crackdown on pro-democracy demonstrations in Tiananmen Square. 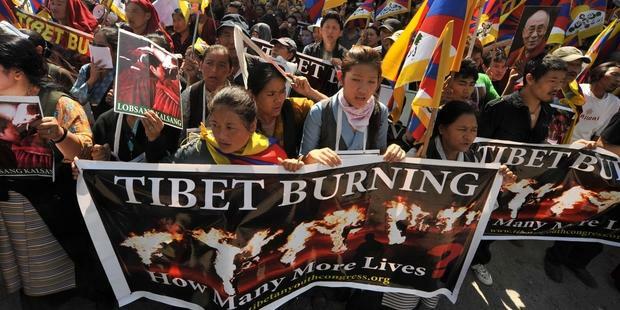 Two decades after the crackdown, about 50 people who were involved in the demonstrations are believed to remain in prison. The Chinese authorities continue to refuse to carry out an open, independent and impartial inquiry into the events of 1989, and no one has been brought to justice for their role in the crackdown. Attempts to mark the anniversary of the crackdown have been suppressed, and public debate or discussion of the events is banned. This Thursday, Amnesty International is co-sponsoring an event on Capitol Hill to commemorate the 20th anniversary. Speakers will include House Speaker Nancy Pelosi, as well as survivors of the Tiananmen crackdown and other prominent faith, government and human rights leaders, as well as Amnesty’s own T. Kumar. If you’re not in the DC area, there are lots of other events happening around the country and around the world this week. Get involved—keep the memory of Tiananmen alive! As some people have alluded to in the comments to this post by the Editors, bloggers are most definitely in need of press freedom just as much as “regular” journalists. Just take a look at Shi Tao, a blogger who’s been in prison in China since 2004 for sending an email. Every time I read a blog, or post to one, I think about how lucky I am to be able to say what I want in those posts and comments, and how glad I am that those other bloggers whose thought-provoking words I read have not been silenced or jailed by their governments. But there are so many bloggers and other journalists who are not free to share their ideas with us, whose ability to shine the light on human rights abuses has been cut off. On this day, I not only want to remember Shi Tao and the others and hope they are soon freed–I want to do something to make that happen! Today is the 60th World Health Day, which the World Health Organization uses to highlight a different health theme each year. Today it’s making hospitals safe in emergencies, which WHO Director-General Margaret Chan promoted at an event in China, nearly a year after the Chengdu earthquake. The WHO’s activities to mark the anniversary of the disaster seem to have been warmly received, unlike those of environmental activist Tan Zuoren, who last week was detained by the police in Chengdu, apparently because he planned to publish a list of children who died and a report on the role corruption played in the schools that collapsed. He’s currently at risk of torture. Here in the United States, particular hospitals are vulnerable to disasters like Hurricane Ike — and our health care system as a whole is facing a slow-motion emergency. The figure you often hear of one in six people in the United States lacking health insurance is just the tip of the iceberg — one in three non-elderly Americans was uninsured at some point in the last two years (as Families USA recently reported). Our health outcomes are a cause for shame: on women’s lifetime risk of dying in pregnancy or childbirth, the United States ranks 41st in the world, and black women have three times the maternal mortality rate of white women (as AIUSA is currently investigating). Will health care reform fix these problems? That’s up in the air right now. But the starting points for that process are cause for despair: What can get past a filibuster? What will entrenched interests sign off on? A health care debate that takes human rights seriously starts where the WHO’s constitution does: every human being has the human right to health care. That’s exactly where AIUSA’s new statement of health care principles begins: for a health care system to fulfill the human right to health care, it must be universal — as well as equitable and accountable. Do you agree that health care is a human right? Then celebrate World Health Day by adding your name to AIUSA’s petition. Join us in bringing human rights to the health care debate! AIUSA has joined with the National Economic and Social Rights Initiative, the National Health Law Program, and the Opportunity Agenda to form the Health Care is a Human Right Coalition. Don’t miss NESRI and NHeLP’s ten human rights principles for financing health care (long version, short version, press release), and OA’s State of Opportunity in America, 2009, which assesses the current state of health care as well as income, education, poverty and incarceration.